Another installment in my continuing series comparing 99designs, this time to LogoTournament another online site to get your business logo designed. FYI I got my logo designed for my startup business on 99designs and I love it! Check out my review of 99designs logos about my experience complete with over the shoulder videos. How Does Logo Tournament Work? Logo Tournament like 99designs is a site with contests for logo design. Which means that you will post a logo design brief order and designers from around the world will post submissions for your review, feedback and eventual selection as your final logo. While Logo Tournament has some advantages the big disadvantage is their text-based logo design brief process. Compared to the 99designs process which is easy, fun and visual based, the clunky long and I thought boring ordering form at Logo Tournament was a bummer. 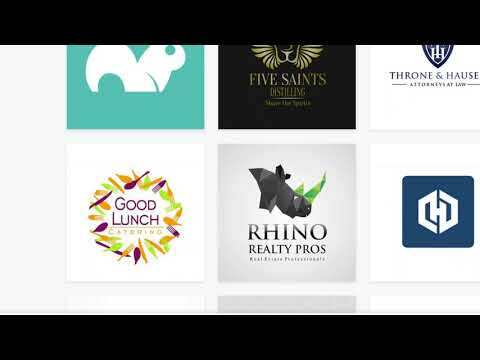 When I ordered my new business logo from 99designs it took about 15 minutes to complete the Logo Design Brief which included selecting images that I liked. Both sites are crowdsourced graphic design contest sites which I found to be a great way to get tons of creative logo ideas at a reasonable price. Websites dedicated to helping businesses with graphic design services. Logo Tournament cost is slightly less, $24 less than the lowest priced 99designs logo packages, $299 for the Bronze Logo Design package at 99designs vs $275 at Logo Tournament. In my educated opinion, this small amount of savings does not make up for the reduction in both the number and experience of graphic designers participating in the logo designs contests. Over one million designers participate at 99designs compared to less than 100,000 at Logo Tournament. Logo Tournament guarantees you will get at least 30 designs or they will refund your monies. However, they are not guaranteeing that you will like those 30 designs nor, that the logo design contest that you paid for will result in a logo you love. To me that is not a very good guarantee – I could still waste my money and not end up with a good logo for my company. 99designs has a 100% Money Back Guarantee that guarantees that you will get a logo that you love or you can get a full refund up to 60 days after payment. To me, that is a much better guarantee that I will get a great logo and not just get 30 designs that I may or may not like or find acceptable for my new company logo. Compare the 50,393 businesses that used Logo Tournament with 7X, 700% more happy customers at 99designs at over 350,000! Here is where you can see the weaknesses between the two both visually and in the usability of the logo designs. This side by side comparison of logo designs from 99designs vs Logo Tournament makes the choice obvious. The logos from Logo Tournament are overly dependent on lots of colors to communicate, use unoriginal graphics and will be costly and difficult to use for some applications such as t-shirts, promotional goods, and signs.